Plant radishes to add color to your otherwise boring green salad. Radishes are the fastest growing vegetable in the garden and is an excellent choice for adding to a child's garden. When I was a child, my mother let me help her in the garden. One of the first things that she allowed me to plant were radishes.I remember that she grew two types. One was the Cherry Belle and a long rooted white radish appropriately called "Icicle". She first planted the Cherry Belles and then a week later she planted white Icicle radishes The white radish tolerated the heat better than the little red radish and thereby extended the radish harvest. Radishes are the perfect vegetable for gardeners who are looking for immediate results from their labors.In as little as three weeks from the time I first drop the seeds into the ground, radishes can be harvested. I use this vegetable in the early spring instead of tomatoes in my spring salad of fresh leaf lettuce, Radishes add the red splash of color that is often missing in spring salads made from exclusively local sources. Plant as soon as ground can be worked in the spring. Radishes prefer cool temperatures to grow. Plant successively in the spring, then plant again in fall. For radishes all winter, plant in winter radishes in the fall. 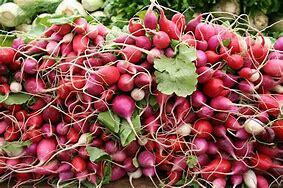 Radishes are from the same plant family as mustard, turnips, and the cabbage family. It was first cultivated in Europe before the Roman Empire invasion. Radishes come in two basic varieties: spring and winter. The crunchy spring varieties of radishes are planted in the early spring as soon as the soil can be worked. They mature within a month of planting. Winter varieties are planted in the fall and require longer to mature, however, these radishes store better, maintain quality better in the garden or the refrigerator better than spring radishes. By planting several varieties of radishes, both spring and winter radishes, I have radishes in the spring and again in the fall. As soon as the ground can be worked in the spring, I dig the garden bed to a depth of six inches for fast growing spring radishes. Later in the summer, I dig a garden bed two foot deep for slower-growing winter radishes. I place seeds one half inch deep and one inch apart in rows. I then firm the soil and water gently. I plant a short row of radish seeds every week beginning as soon as I can work the soil in the spring until early summer then start again until late summer again. To grow winter radishes, Plant them in the middle of summer for an autumn harvest. I space each of the tiny spring radishes as carefully as possible in the row to avoid the need to thin them later. Once the radishes have germinated, I thin winter radishes to three to four inches apart. Because radishes don't like too much water or too little, I water frequently to keep soil moist and so that radishes can grow quickly. I mulch to keep weeds down as well as maintaining moisture. Radishes usually grow so they are seldom bothered by garden pests. Pigweed, often referred to as wild amaranth, helps radishes because it loosens the soil. Nasturtiums and mustard greens protect radishes with their oils. Sow radishes in the same rows with beets, spinach, carrots and parsnips because radishes grow quickly and mark the rows for those slower growing vegetables. Grown with leaf lettuce, radishes keep tender longer. They also grow well with kohlrabi, bush beans, and pole beans. Planted with cucumbers, squash and melons, radishes repel the striped cucumber beetle. In addition, planted with tomatoes, they repel the spider mite. I never grow radishes in ground vacated by cabbage, cauliflower, Brussels sprouts, broccoli or turnips grown in the previous season because they are all members of the cabbage family. I also wouldn't plant radishes near hyssop. Do you plant your radishes with other vegetables or in a row by themselves? I plant my radishes by themselves. I plant my radishes with companions. I have never planted radishes, but I will plant them with companions this gardening season. Pull roots as soon as they mature and don't leave them in the ground too long. If radishes get too big they will become tough and cracked. Harvesting radishes is easy. Hold plant at the base of the plant where the leaves meet the earth and pull the radishes clear of the ground. If radish leaves separate from the root, gently work radish loose with a small hand trowel. Be careful not to disrupt neighboring plants. Wash spring radishes and eat as soon as possible. Winter radishes should be allowed to grow much larger and pulled after the first frost but before the ground freezes. 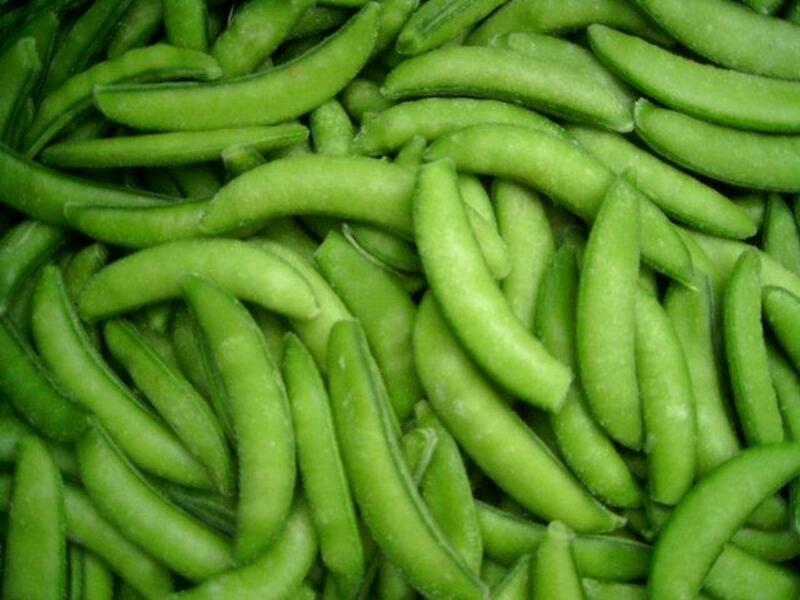 It can be stored in moist cold storage (refrigerator conditions) for several months. Eat spring radishes fresh, winter radishes are often eaten by stir-frying. Thanks, Bill, I always look forward to seeing your comments on my articles. Thank you too, mecheshier, I love radishes as well! We had three different crops of radishes last year, so warm and dry was our summer. Very unusual for us to be able to grow more than two crops....good information as always, Donna!